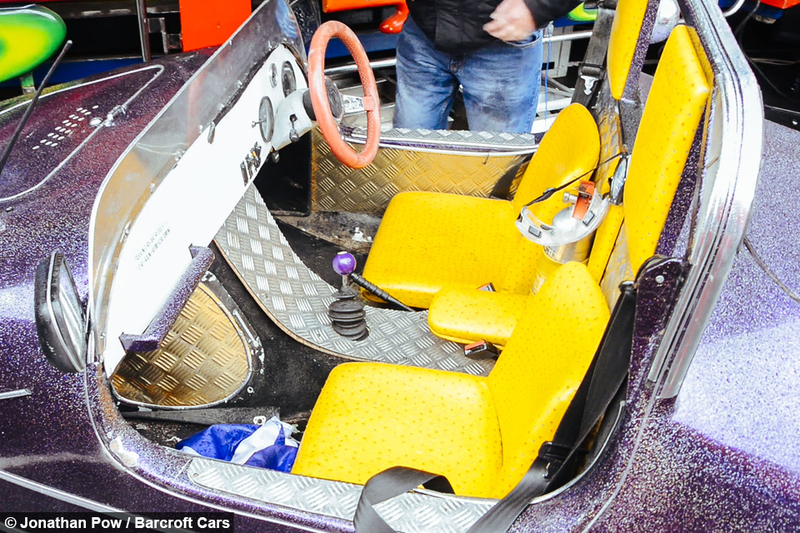 The purple vehicle, which looks more at home at a funfair than on the roads, is a fully converted bumper car that runs on petrol. 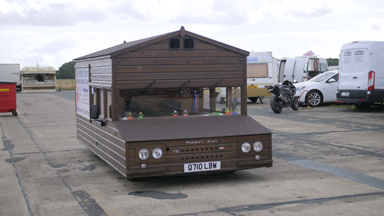 And its owner, 69-year-old Tom Evans, is more than capable handling the unusual motor as he used to run a fairground. 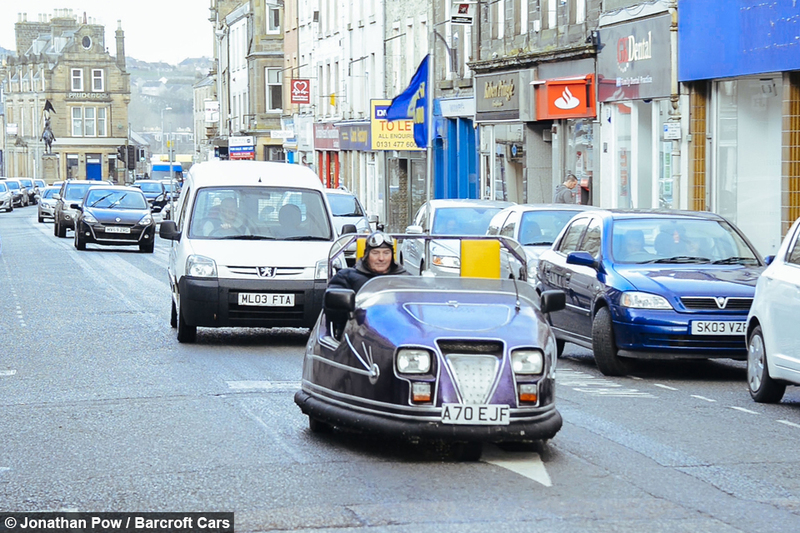 The tiny car has working lights, indicators, a petrol gauge and even a tax disc to prove its legality to incredulous onlookers. 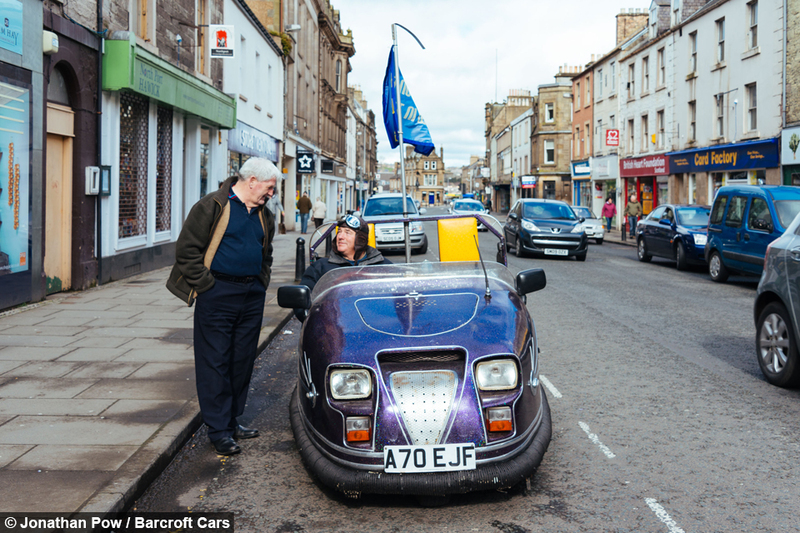 The retired Glaswegian fell in love with the car when he spotted it on eBay two years ago. But he was hesitant to buy it and after a few days it disappeared – only to turn up under the Christmas tree a few months later. Tom said: “My two boys and my wife went down to Northumberland and haggled with the man that had it, agreed a price and fetched it home. Tom couldn’t wait to get the unusual motor on the road but years of neglect meant the car needed a lot of work to get it up and running. He said: “I had a handbrake but no footbrake and the lights didn’t work. 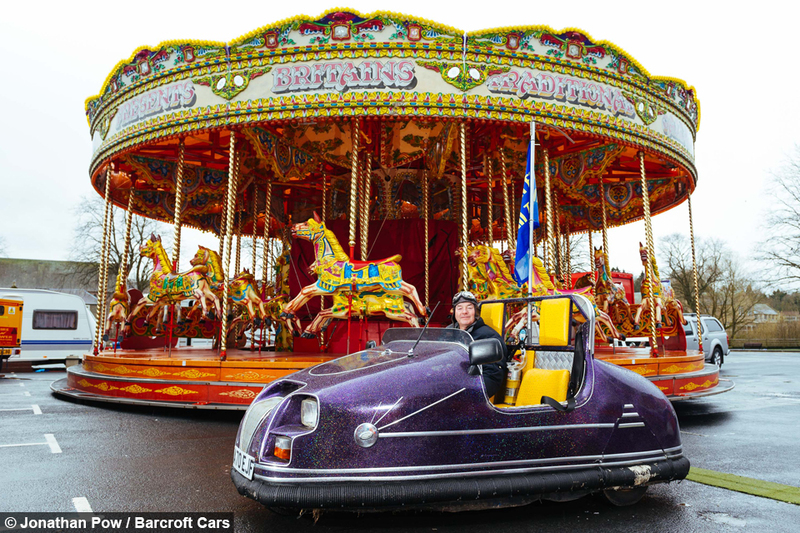 The dodgem was fitted £700 of new gear, including new lights and a brake. 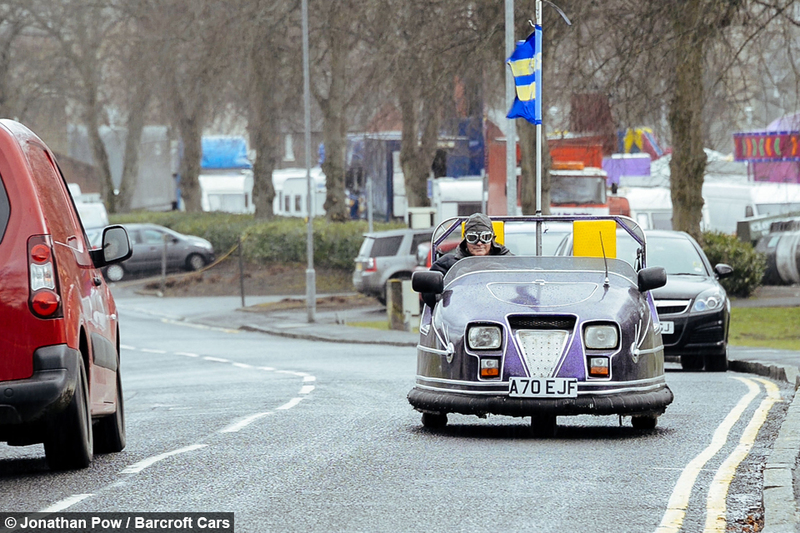 Although Tom doesn’t know when the dodgem was converted into a street-legal vehicle, it has three wheels and an engine from a Reliant Robin Rialto, which was released to the market in 1981. 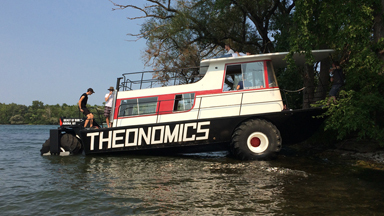 The car can dodge through traffic at a top speed of 75mph but Tom likes to keep it at a tranquil 45mph. 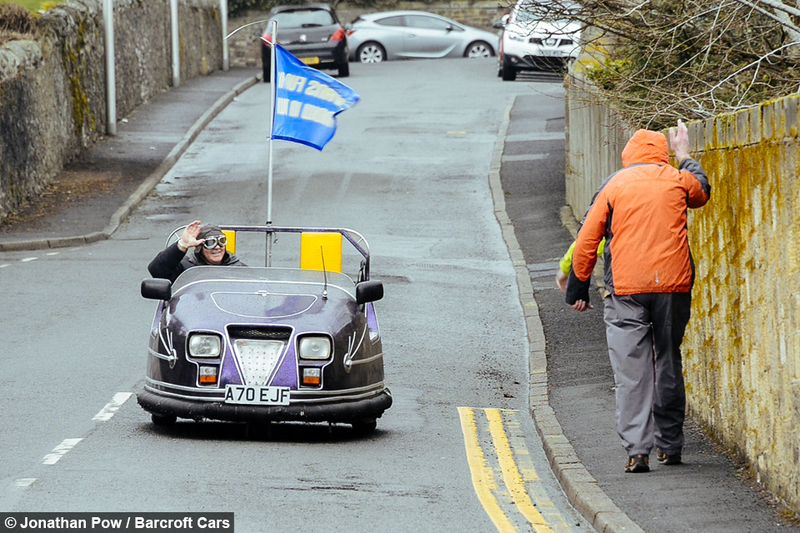 While he refrains from racing on the road, the car’s unusual appearance has gotten him into trouble with the police. 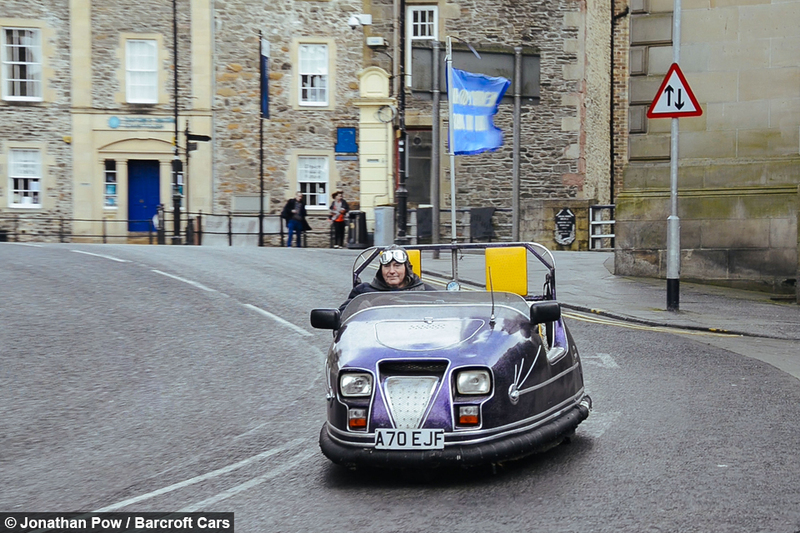 Tom was pulled over with his son just minutes after driving the dodgem for the first time. He explained: “They wanted to know what the hell was it and we had to explain and we had to take the documents down to the station. And they all came out of the police station to have a look and they thought it was unbelievable. Now Tom carries his paperwork with him whenever he takes the car out to prove to officers the vehicle is road-worthy. Police aren’t the only people who are bemused by the car as Tom regularly attracts attention whenever he goes out in his hat and goggles. And his granddaughter Dior loves to go through McDonald’s drive through in the glittering car. 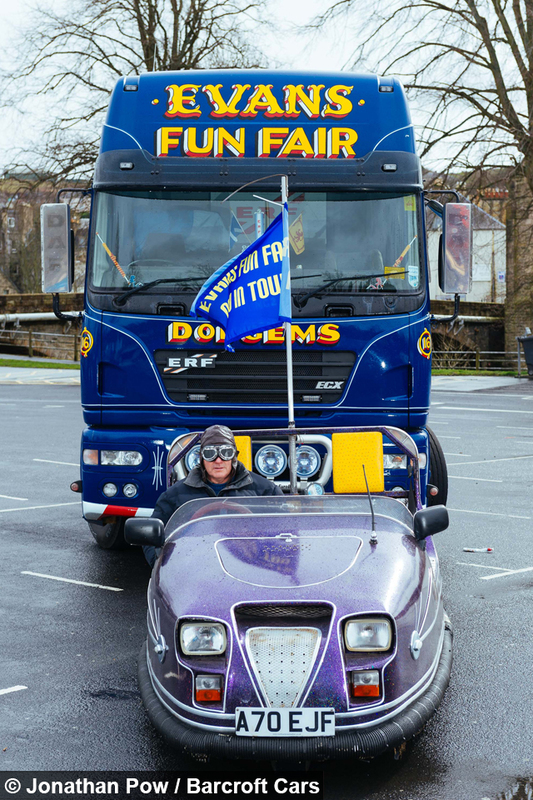 While Tom hasn’t ruled out getting another funfair vehicle, their dream of taking it on Top Gear has been quashed after host Jeremy Clarkson was fired. 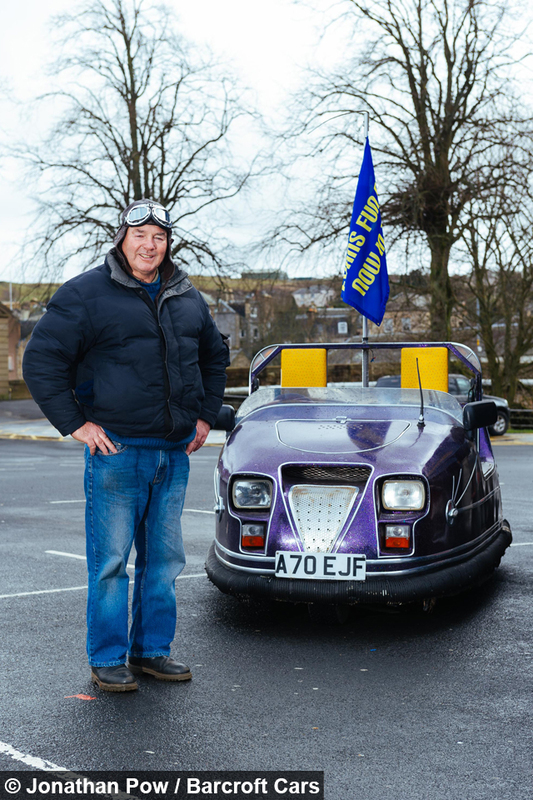 For now he is content using the car to help raise money for Yorkhill, a charity that helps young kids at the Royal Hospital for Sick Children in Glasgow.